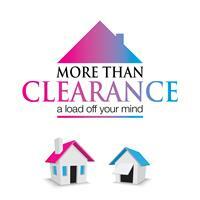 More Than Clearance Limited - Removals/Storage, Rubbish/Waste/Clearance based in Arundel Road, West Sussex. We are a family run Removal and Clearance company based in Poling, West Sussex. We specialise in helping customers who are downsizing. We also offer services such as House clearances, Packing, Removals and Storage. We work throughout Sussex and the surrounding areas. Our combined experience and customer service background ensures you will receive a professional, reliable service to the highest standard. We now accept all major debit and credit card payments. We also now offer domestic and commercial cleaning services run by our sister company more Than Cleaning limited. We provide customers with an experience that will ensure repeat business and recommendations to all their friends and family. We are fully licensed by the environment agency to carry waste. We are fully insured for public liability up to £2 million. We also have goods in transit cover up to £20,000 per van we operate from (can be higher on request, subject to extra cost) for piece of mind whilst moving your precious belongings. Our attention to detail ensures a stress free Removal or Clearance.